MSI is pushing thin and light laptop designs at Computex, both for gamers, and those who prefer the more professional Prestige Series. The PC and components maker is highlighting the MSI GF63, which it says takes thin and light gaming mainstream, and the impressively slim and light (but stick packing discrete graphics) MSI PS42. Both laptops feature builds with thin screen bezels. The MSI GF63 is a 15.6-inch form factor laptop which is just 21.7mm thick and weighs in at 1.86kg. 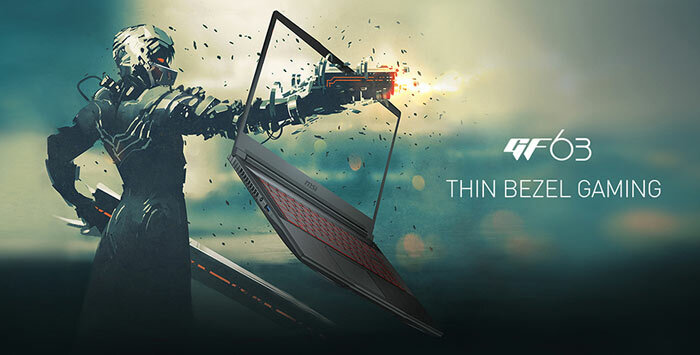 I'd guess that this 'mainstream' laptop takes its inspiration from the recently launched, desirable but pricey, MSI GS65 Stealth Thin, heralded as "breaking gaming laptop conventions". In configuring your MSI GF63 you can choose from up to an 8th Gen Intel Core i7 processor and Nvidia GeForce GTX 1050 Ti or GTX 1050 graphics. The systems can be fitted with up to 32GB RAM and a single 2.5-inch SATA drive. The screen is a 15.6-inch IPS FHD display with 4.9mm side bezels. 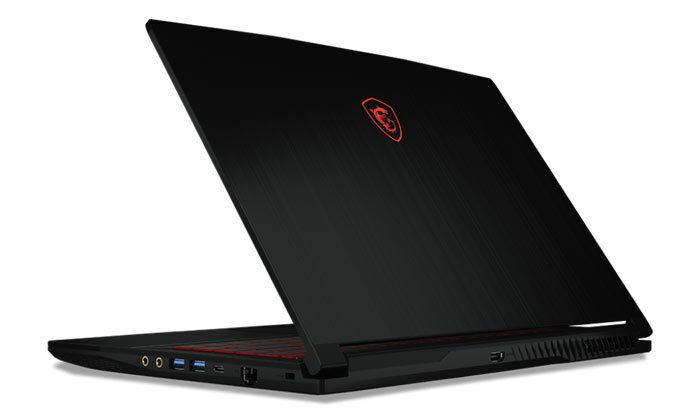 Other attractive specs of the MSI GF63 are its 7 hour battery, Nahimic 3 audio with Audio Boost, and the single colour (red) backlit keyboard. The laptop is encased with a sleek Aluminium top and keyboard cover with X-shaped ventilation system underneath. This is a new entrant to the Prestige Series so while it is not aimed at gamers it can fulfil some light gaming duties. 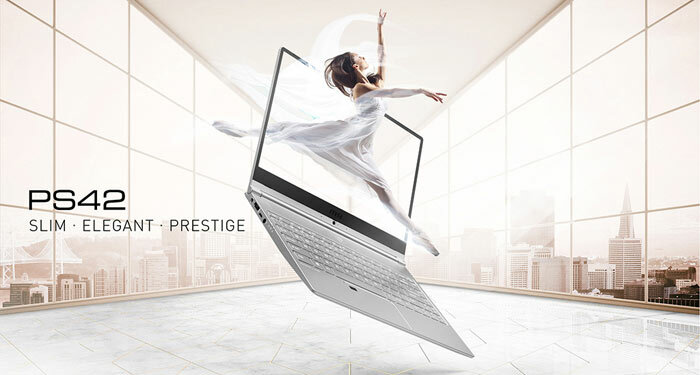 This ultra-thin 15.9mm think laptop is just 1.19kg, so easy to carry around. Furthermore it is claimed to be durable, and it looks good, with its brushed aluminium finish. The MSI PS42 is a 14-inch form factor machine with 5.7mm bezels to the top and sides. The screen it features is an FHD IPS anti-glare panel. Inside this machine you will find up to 8th Gen Intel Core i7 U-Processor, an Nvidia GeForce MX150 with 2GB GDDR5, and a maximum of 16GB of RAM. Storage is configured via the single M.2 SSD Combo slot (NVMe PCIe Gen3 / SATA). Hot components are cooled via Cooler Boost 3 twin fan and triple heatpipe tech. Other attractive specs of this thin and light machine are its 10 hour battery life, Windows Hello fingerprint sensor in the touchpad, a (white) backlit keyboard, and Nahimic 3 audio. A good selection of modern ports are provided including; HDMI, USB3.1 Type-A x2 and Type-C x2, audio combi jack, and an SD card reader.